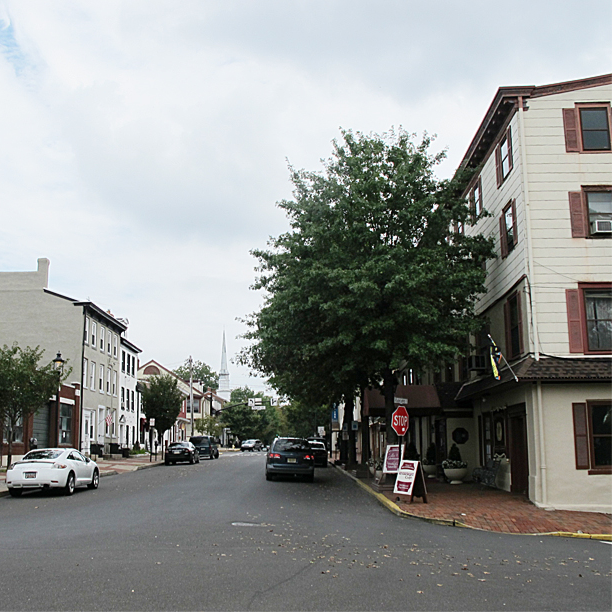 Mill and Radcliffe Streets were part of the King’s Highway, which was established in 1686 by the Pennsylvania Provincial Council to connect Philadelphia and points north, later including New York City. 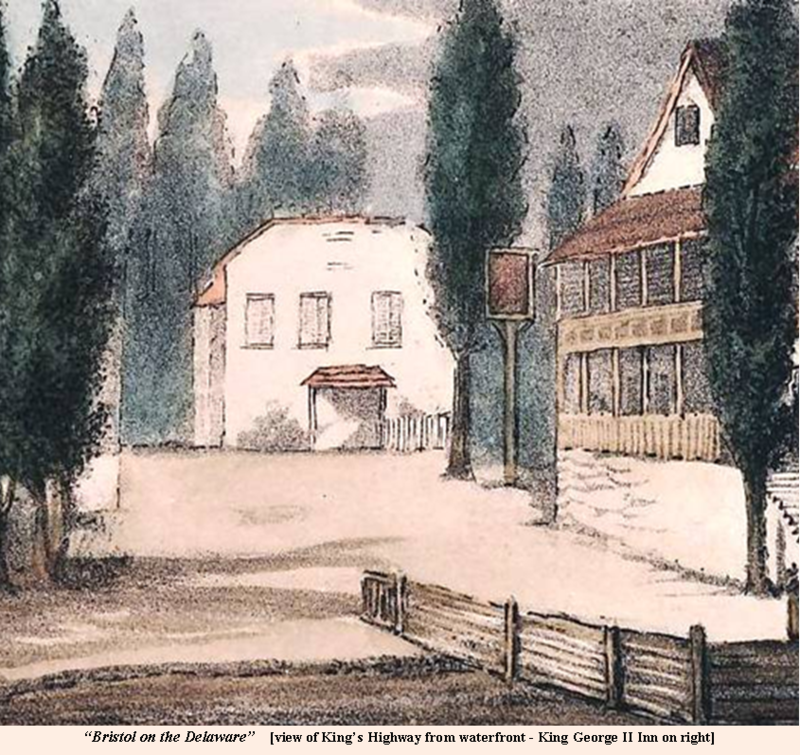 In the late 1700s, the builder of the King George II Inn operated a stage coach which advertised service between the two cities at “Unparalleled speed, From Philadelphia to New York in two days, [at a] fare [of] $4.00. Comfort and safety assured.” Upon the bed of the King’s Highway was laid the Bristol and Frankford Turnpike, and during this tour you will see one of its mile markers. 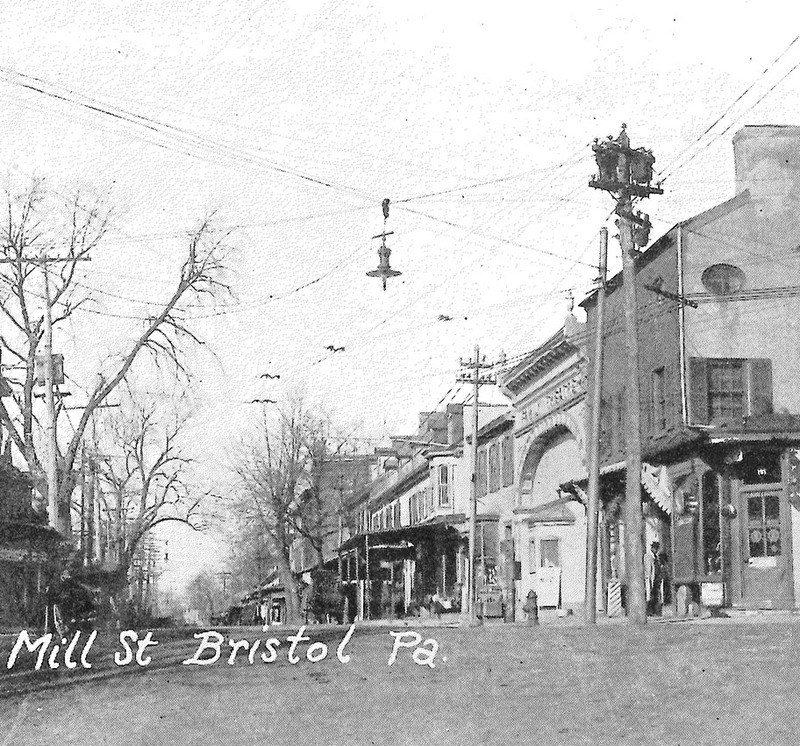 Mill Street served as the center of commerce for much of the town’s history and–although the building no longer stands–it was the site of the first mill, built by Samuel Carpenter, who was the wealthiest man in Pennsylvania by 1701.